56 other birds have this item in their bag or wishlist! The Sparkle Rock Hand-made Earrings from Greenwood Designs add that 'something extra' to your outfit. 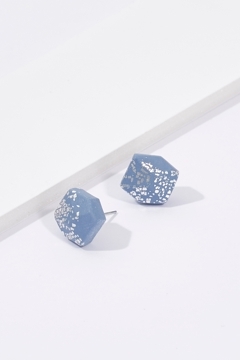 Another lovely pair of Greenwood design earrings. Nice little bit of sparkle to classic navy! I have purchased a number of these Greenwood design earrings for my daughter and her friends. She loves these new sparkle ones.